When speaking to new and potential customers at Text Republic we are often asked what are the benefits of using a bulk SMS service as opposed to the many other forms of marketing that exist. Until now we always stated the benefits as we perceived them and they were generally along the lines of cost effectiveness and speed. However we recently decided to perform a poll, on a sample of our existing customers, to get it straight from them what they felt were the main benefits. Here are the results in no particular order. 98% of all SMS messages are opened and read by the recipient, and on average within five seconds. That alone sounds impressive but when compared to the 20% average open rates of email it’s even better. Not to mention the fact that of those 20% of e-mails that are actually opened the average open time on these is about forty eight hours. So if you want to make sure that your message is seen by the highest percentage of people in your marketing database – choose SMS every time. All businesses should be geared to react to the fluidity of the modern business world, as flexibility and adaptability are key to reacting to the ever changing market conditions. With the virtual zero lead time in bulk SMS marketing, campaigns can be conceived of and delivered to their target audience in a matter of minutes. This can be used to drive footfall on a slow day or clear old stock ahead of new deliveries. A bulk SMS service such as that offered by Text Republic, allows businesses to immediately respond to the events of the day or to a competitor’s promotions almost instantaneously. Newspaper ads, TV commercials and almost all forms of outdoor advertising are cost prohibitive for most small to medium sized businesses. 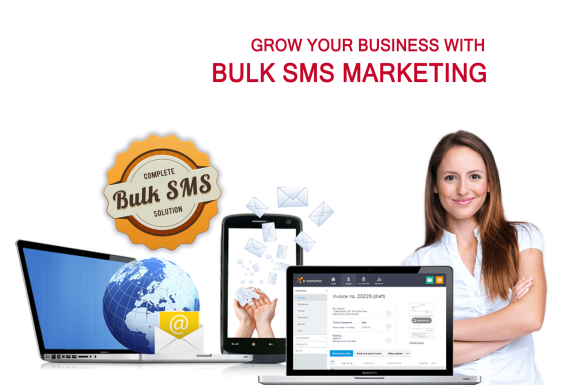 Bulk SMS marketing on the other hand has such low set up and running costs that campaigns can be launched and executed for a tiny fraction of costs associated with the more traditional marketing methods. Where else can you contact 1000 customers in a matter of seconds for as little as €30? With this cost effectiveness and high return in investment, bulk SMS marketing is an almost essential marketing tool for any modern SME. b) have agreed to receive marketing messages from you. These two facts means that these targets are already customers as well as being hot leads for new sales. It’s an accepted fact that it’s between 5 to 7 times easier to resell to existing customers than to gain a new customer and a bulk SMS service is the perfect way to market to existing customers. SMS messages can be personalised to the recipient and delivered to their pockets within seconds. They can also be personalised based on the customer’s previous buying behaviour and demographics. They can even be location based as well as individually sculpted based on different stores and different regions of the country. To try and achieve this level of personalisation in any other form of marketing would be a very costly exercise. With bulk SMS however, it can be done for almost no extra cost as well as having a uniquely powerful impact on the recipient. So there they are, the 5 big benefits that are consistently reported when we ask our customers about their experience with Text Republic’s bulk text service.